Daaaah- Da- Dum-Dum. Daaaah- Da- Dum-Dum -DAAAAAAAAH! 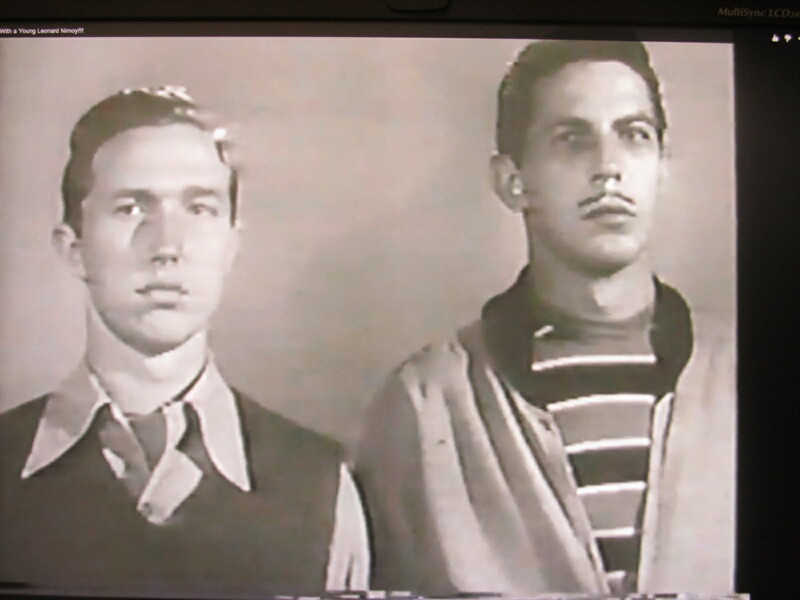 Last week we had some vintage stills from Nimoy’s appearance on Highway Patrol, this week he’s still on the wrong side of the law as young punk Julius Carver on the episode “The Big Boys” — note the goofy mustache! Here he is with his co-conspirator in the famous ‘line-up’ pictures seen at the end of each episode! 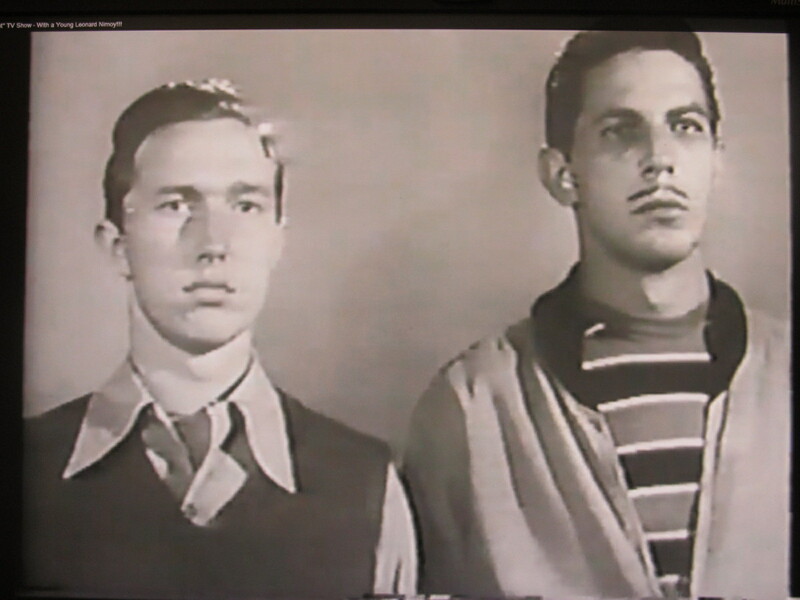 Nimoy later appeared on Dragnet again in 1959, but I’m still looking for that one. With all the ‘heavy’ roles he had to play, is it any wonder Nimoy was pleased to play Spock; a character his “mother could be proud of”! 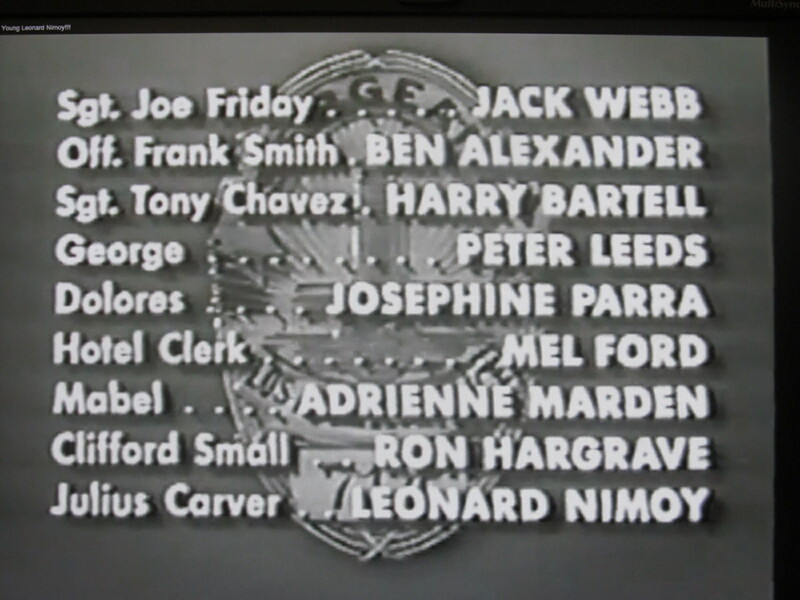 This entry was posted in Leonard Nimoy, My Weekly Spock and tagged Dragnet, Jack Webb, Julius Carver, Nimoy. Bookmark the permalink.